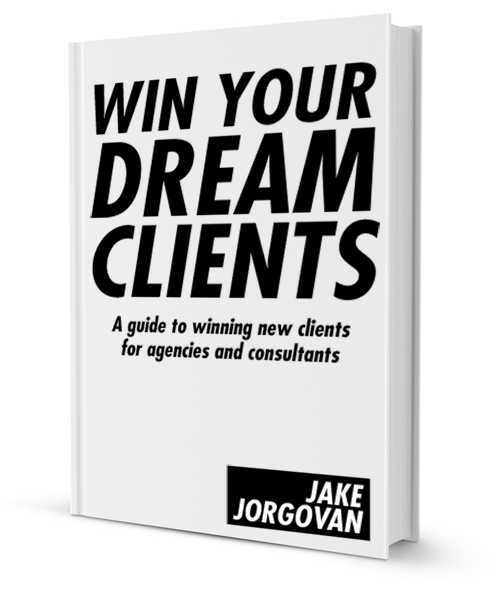 Currently I am writing a new book called Win Your Dream Clients. This book is built on lessons learned from interviewing over 300+ agency owners and consultants. The answers to that question led to the creation of this book. Over the past few years, I have kept a swipe file of every tactic, strategy and tool I have seen agency owners and consultants use to win new business.